Plaza Bonita, Cabo San Lucas, Los Cabos, Baja California Sur, México. 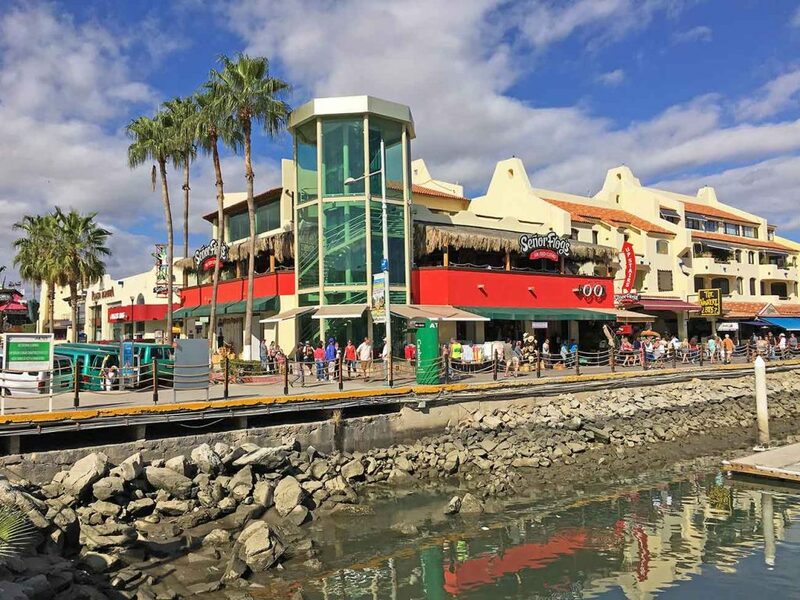 One of the most storied party restaurants in the world, the Señor Frog’s Cabo San Lucas franchise is one of the popular tourist city’s newest additions. The Senor Frog’s central downtown location on the Marina offers breathtaking second floor views of the Marina. 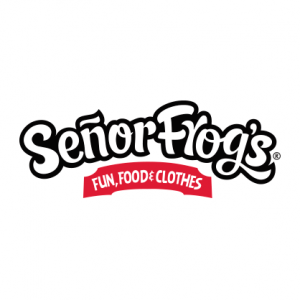 The menu at Senor Frog’s begins with starter plates priced at $8 USD that feature everything from the traditional Nachos, Mozzarella Cheese Sticks, Chicken Wings and Chicken Enchiladas, along with Guacamole. Other pricier dishes consist of Fetticcini Alfredo, Grilled Chicken Pasta, The Burrito and their Mexican Platter recommended for two people. Other specialty items that are not found anywhere else in Los Cabos is the Philly Cheesesteak. BBQ Chicken Wraps, Cheeseburgers and Fajitas are also available. Their Taco Tuesday offer includes three tacos of your choice (beef, chicken, shrimp) and a draft beer for $199 pesos or $15 USD. Every Ladies Night Wednesday is free drinks for the women between 9:00 and 11:00 pm. Known for its conga lines, foot-long margaritas, Señor Frog’s is one of the world’s most notorious places to party with other South of the Border venues in Cancun, Cozumel, Playa del Carmen and Puerto Vallarta. Marina Boulevard, Plaza Bonito. 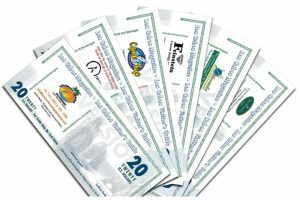 Visa, MasterCard, and American Express accepted. 18 AB, Col. Centro. C.P. 23450, Cabo San Lucas , B.C.S.